Research in Informatics today is highly specialized in the diverse subareas of Informatics, as also reflected by the participating DP faculty members. Clearly, doctoral students pursuing their projects have to follow, and contribute to, those subarea-specific research lines. However, there is some common methodological ground in Informatics that all doctoral students should become familiar with and benefit from. The focus of this DP is to teach and gain knowledge and skills in research methods in Informatics, complementing the subarea-specific research and engineering competences of the doctoral students. The courses at the core of this DP are therefore research methods oriented. The added expertise in methods provides the basis for discussions, collaboration and mutual support among the doctoral students and with their supervisors, respectively; specific courses provide a formal framework for those types of interactions. Co-teaching of courses and co-supervision of doctoral students are used to broaden the students’ perspectives and enable them to benefit from competencies in methods of DP faculty members other than their direct supervisors. In addition, two peer-reviewed articles have to be published by each doctoral student (as a first author). Deadline: Applications from prospective doctoral students for winter semester 2018/19 will be accepted until September 30, 2018. Intelligent Systems and Business Informatics (Faber, Friedrich, Jannach, Schekotihin): Knowledge Acquisition and Representation, Model-based Diagnosis, Recommender Systems, Consumer Buying Behavior and Decision Support, Mission Planning, Mass Customization, Semantic Web, Engineering of Intelligent Systems, Declarative Languages and Systems, Explainable Artificial Intelligence, Context- and Ontology-Based Data Access and Integration. System Security (Rass, Schartner): Security in Complex IT Systems, Security Concepts and Their Basics, Mathematical Fundamentals of Cryptology, Design and Analysis of Cryptographic Mechanisms, Key Management and Authentication, Applied Cryptology, Security in Distributed Systems and Networks. Information and Communication Systems (Eder): Business Process Automation, in particular Temporal Issues, Evolution, Integration, and Interoperability (Workflow Systems, Web Services, Web Technologies), Information Systems for Medical Research. Interactive Systems (Ahlström, Hitz, Leitner): Usability Engineering and Interface Design Methodology, Novel Interaction Mechanisms, Non-classical User Interfaces, Cognitive Psychology in the Context of User Interfaces, Smart Environments Control and Interaction. Software Engineering (Pinzger): Theories, Methods, Processes, and Techniques for Building and Evolving Large, Complex, and Long-living Software Systems. 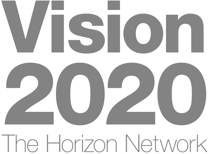 Distributed and Multimedia Systems (Prodan, Lux, Schöffmann): Distributed Cloud/Fog/Edge Systems and Simulation, High-Performance Parallel Systems, Performance Analysis and Optimization, Compiler Technology, Energy Efficiency, Social Media, Computer Games, Multimedia Information Systems, Interactive Multimedia Search and Retrieval, Multimedia Content Analysis and Visualization, Applications in the Medical Domain (Endoscopy). Multimedia Communication (Hellwagner, Timmerer): Multimedia Communication and Content Adaptation, Dynamic Adaptive Streaming over HTTP (DASH), Multimedia Content Dissemination in Information-Centric Networks, Multimedia in Emergency Response, Standardization (MPEG).  For the admission to the DP the current curriculum for doctoral studies of Alpen-Adria-Universität Klagenfurt has to be taken into account. to the „Speaker’s“ email address (cf. below). The decision about admission (potentially, after a hearing) will be taken jointly by the DP faculty members. A sufficient number of courses on research methods (each co-taught be at least two DP faculty members) will be continually offered. High-quality, methods-oriented, doctoral-level courses taken at other AAU departments, other universities, international summer/winter schools or as provided by international educational consortia can be credited as well. The publications have to be first-authored by the student and be at least of Class II in the AAU publication classification system.